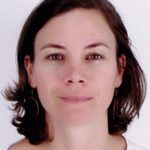 Dr. Vanina Guernier is a postdoctoral fellow at AITHM, Townsville. She investigates the diversity of Mycobacterium tuberculosis strains from Balimo, Papua New Guinea, in order to identify the local routes of transmission, and the molecular signatures of drug resistance. Originally from France, she has worked at the IRD institute during her PhD, investigating the dynamics of transmission of human tuberculosis in French Guiana. Since then, she has worked as a molecular epidemiologist and ecologist on different research projects, especially on leptospirosis in Reunion Island and Seychelles (CRVOI, Reunion), and Tahiti (Institut Louis Malardé). In 2015, she worked as a postdoctoral research assistant at the University of Queensland, where her main project was to evaluate the potential health impacts of natural infection by different helminth species (i) on the gut microbiota diversity and (ii) on morbidity factors such as anemia and malnutrition. Vanina’s research focuses on the epidemiology and ecology of infectious diseases. She examines the spatial and ecological factors associated to the diversity or genetic differentiation of pathogen populations, and their spreading in the environment.